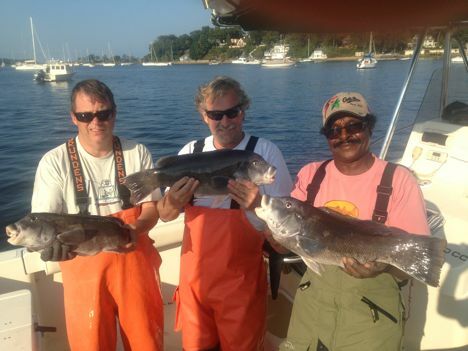 Free Fishing Reports > Northeast > New York > North Shore > Opening Day Blackfish is finally here!!! Tom, Don and Don with their opening day catch !! !